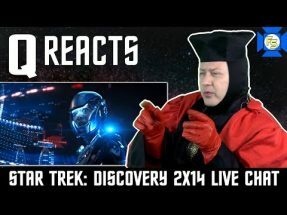 “Point of Light” – Star Trek Discovery Season 2 Episode 3 is judged in this live stream by Q. (Warning: Spoilers) Forced to watch this show by the Q Continuum, Q will give his thoughts on this episode, the characters and more. 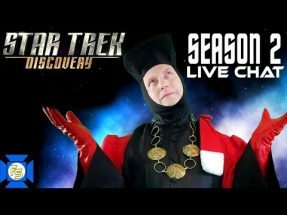 Join him in the replay of the live stream as he give his reaction to the adventures of the U.S.S. 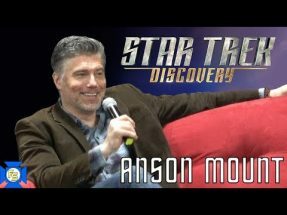 Discovery crew under Captain Pike and then opens it up to questions. 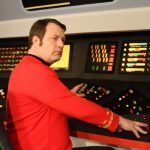 Michael Burnham, Christopher Pike, Saru, Tilly and more are featured on this CBS All Access show… and Q has opinions about all of them. Tune in for this after show where Q goes over the story and casts his judgment on the actions of the crew and the architects of this reality. Fun for the whole universe!